This is a continutation of Record time blog – how we record and preserve our lives, occupations and achievements. I was having a clear out of files and I came across a folder with some images I had mislaid, as they had not been labelled correctly. Market Lavington, Melksham and Warminster feature this time. 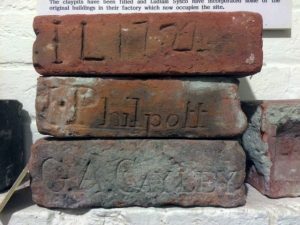 Bricks made in Market Lavington area on display in the museum. A wonderful little musuem with a wonderful blog which Roger Frost – sadly passed away now, used to write. As curator he received hundreds of requests from people with links to the village and area – many from across the world. He was very knowledegable and always happy to help. A tiny corner of Wiltshire with a fascinating history and a dedicated community, who preserve the artefacts, reocrds and documents for the public to see. 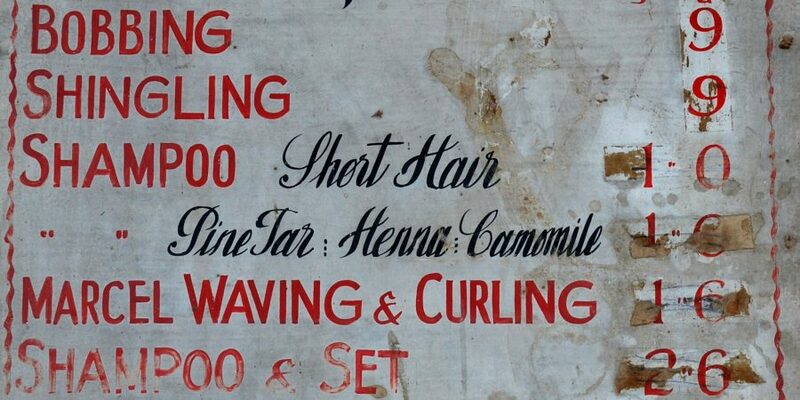 Not much changes in the world of hairdressing. Women still want ‘bobs’ and henna tints, and eyebrow shaping is very much de rigueur now. 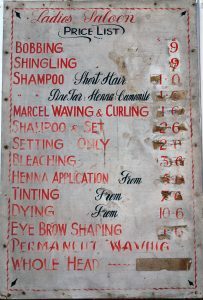 I think the marcel wave, however, is probably kept more for actors in period dramas than everyday use. The process looks pretty brutal to hair. Here’s how to make waves. Another [iron foundry] was founded by Hugh Carson, a Scot, in 1816, and run in the 1820’s as Carson and Miller. At first it was described as an iron foundry, but the making of agricultural implements had begun by 1842. 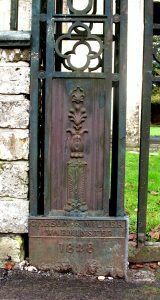 In 1860 the business was handed over to W. H. Carson and J. V. Toone, son and son-in-law of the founder, and was carried on until c. 1906, when W. C. Toone left the town. Gray and Turner continued it for a few years. The main premises were behind the buildings south of East Street.